This Painting is a transit between fiction and fantasy. The tree depicts the " Tree Of Knowledge ", which according to many legends is the tree of wisdom. The background is twilight. I first started with the tree and then all I wanted was a portal between the real world and my dreams. 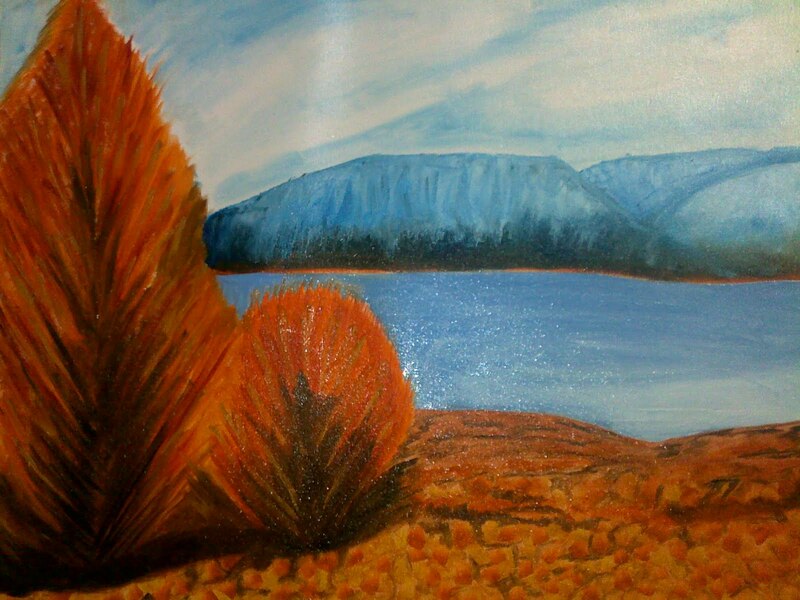 The inspiration for this painting being the song by Atomic Kittens, The tide is high, but im going on, Im gonna be Ur No.1. I dont know what but my affinity for the sea surprises me. After my little adventure last week this is hardly a surprise. The boats are all different but going the same way, some faster some not so fast, but they all reach their destination, thats the beauty of it. The sun has just risen and all our mighty sailors are already awake and beginning their journey, hoping every single minute that they reach their destination. Any guesses who our mighty sailors are? This is the first time I have tried painting an animal. The Best thing I find in a Lion is its determination and at the same point, he is very gently and fierce. All of these qualities enable a lion to be at the top of the food chain. The Beauty of this creature gathers everyone around it. It enjoys the attention but never conveys what its next action would be, whether to kill you or to kiss you. We have always seen a lion fiercely killing its prey, what if i say that the prey isn't the victim, the prey itself goes to kiss the lion, and the lion just just couldn't control its his actions. This is a castle, I've named it as "Mi Casa", meaning my home, my ultimate repose. It at the first shot may look very elaborate and unnecessary, but in the actual sense Mi casa is actually My Heart. 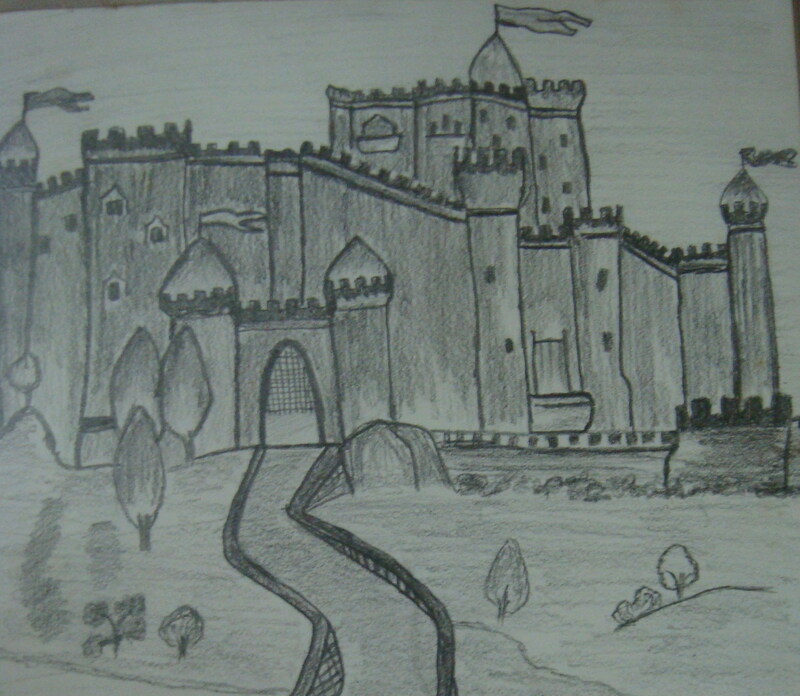 I have built it so grand that I can accommodate many people in it, close to my heart. This Picture is dedicated to my dear friend, Miss Sequiera. She was the one who inspired me to do this. Though the idea seemed ancient, however the emotions behind it caught my inner self and thus i made this simple gesture of love, which is very natural and profound. This painting is about the perfect place that we are all looking for. The place which we can call paradise. An Hillside Waterfall generating misty atmosphere. When as soon as the sky is clear, there is a small rainbow awaiting to be discovered. This painting is all about the fierceness as the water comes gushing down the mountain into this small puddle. This is the Law Of Universe, the flow of energy. The neighborhood is being depicted in red to depict the heat or the fire or desire that such tremendous amounts of energy generates. This painting is dedicated to my friend who has had quite a show at Urban Tadka. Ofcourse there were many people in the picture, but the kind of appearance they made was quite spectacular. I have drawn these two people walking side by side probably chatting, don't get me wrong all they r doing is 'Poking their nose into another's business'. However they have a threshold which both dont wanna cross, if one does the other can literally rip off the poor fellow's throat. Cat instinct u may say, a very ferocious cat. Friends, Dont think i need to say as to who am I referring to. A Bloom again. This time its a Traditional Sunflower. Generally a Sunflower is monochrome, single colored. Recent techniques have developed many new variants. This sunflower is however different. This bloom is not just dichrome but however multicolored. The reason being a single person is never the same, they always try to innovate. This innovation can be to attract or to repel, to rise or to cover, to bloom or to wither away. The choice is always yours. Either you camouflage or you change yourself entirely to be that bold one that never backs down. The rains have finally started. With all these busy days, it s really difficult to find time for a decent evening all by yourself. With friends making plans to Marshez ghats n all its very disappointing to say "NO", coz i want to be there but things turn otherwise. On one such evening, I decided if I cant go there y cant I bring them to me. Thus the idea of waterfall dawned in. I tried to make it very simple and I guess I justified it. The cool mountain air always stirs the best in me. However how much of chilled air can u bear. While there is this amazing chilly environment that you desire there is also this raw feeling, a fire in you that is awaiting to rise. 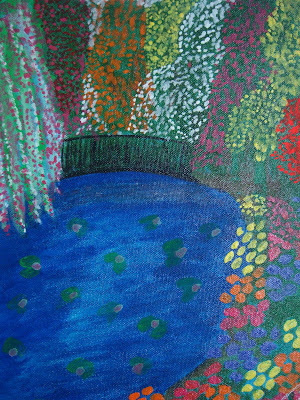 This painting depicts the direct contraction of the nature and thus influences our feelings. Hence the " FIRE AND ICE COMBO". This is quite a serene painting. We stay in Mumbai, the most happening place if i may say. Life is fast, not because you want it but its a race, a crazy horse race. People so engrossed in their daily routine. Work, Family, Parties....... thats all we are reduced to. In this whole scenario, we have forgotten the good old days, how life used to be so peaceful and a wonderful glass of amber liquid by the beach, gazing the sunset. 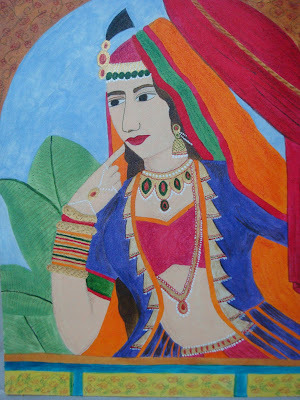 Many People have asked me Y name it "Desi Girl". Theres only one thing that i could conjure, I wish to live a simple life, just with couple of thoughts in my head, My family, Preparing food and Being with my friends. In this busy schedule, I have lost my good old precious friends, how much i wish to be back there with them while they do those crazy pranks and absolutely absurd outings. I miss u guys. 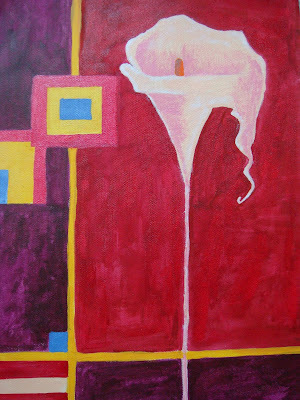 In this painting, I wanted to depict complementarity. Two flowers are Anthurims. They way they compliment each other is depicted in the color scheme. It is as if " They Complete Eachother". What more can I say, mi amour, c'est pour toi. 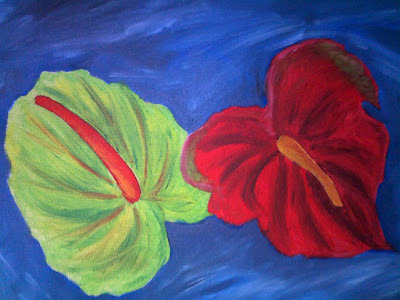 This was originally painted for one of my friend getting married, but greed took over the better half of me. hehehe. 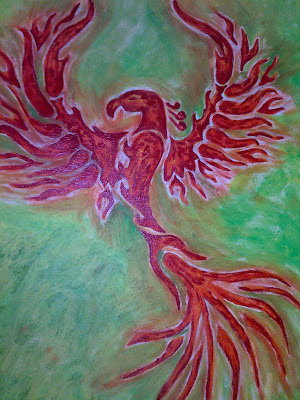 This painting symbolizes the power emanating from the phoenix. 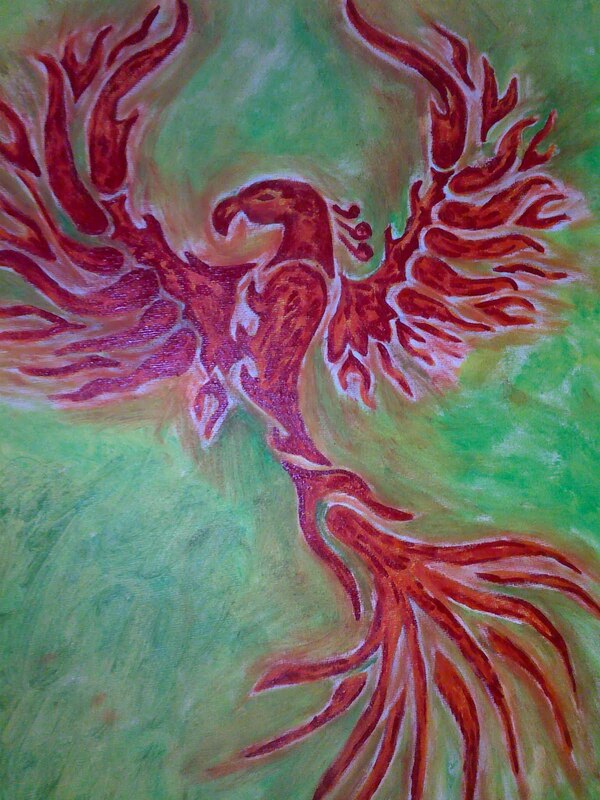 The vibrancy, the fierceness and the heat which a phoenix gives to anyone nearby. To remove its monotonous nature, I tried to bring in some texture. Surprisingly I remembered an episode of art attack and wrapped painting in a clig film and crumbled it. The effect was totally breathtaking. 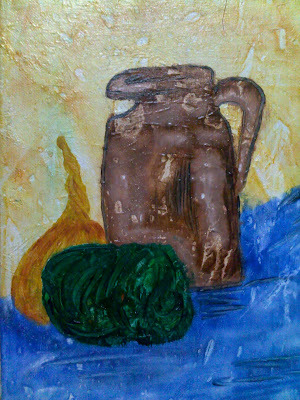 the texture that I couldnt manage via brushes, i gained it in a moment. 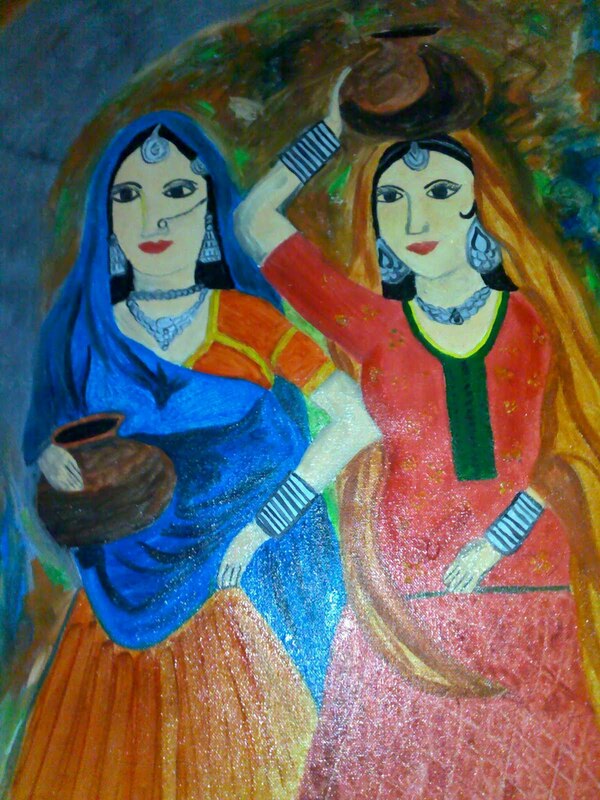 This Painting is just the expression of love and nature. I drew it on a Valentine's day thinking even though I did'nt get any roses, I still could manage one. This is the actual fruit of our hard work. It was'nt just me, but my dear friends Rachana, Nandita, Fatema, Chintan, Shabeer, Sampada, Bharati, Harrison, Darshana and of course "THE MASTERMIND", SANKET . 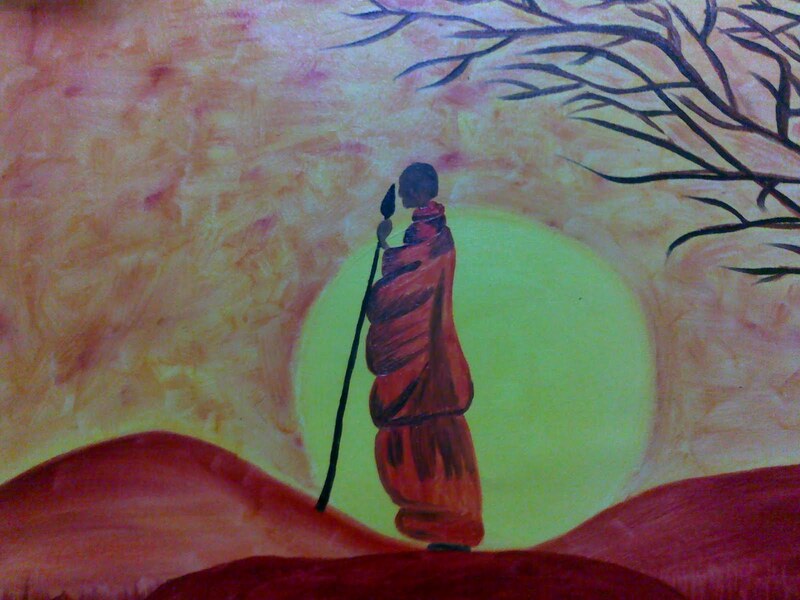 This is a painting which I painted in the last moment for a Gambling Game, Luck by chance. The painting only says Do It Or DIE !!!!! This is my dearest friend, my worst critic, whose inspired me all. She has been with me through my falls and through my happiness and I can never find anyone as true. Stace, this is for u. The idea of creating the picture was the way the blossom tuned to its surroundings, just the way we try and blend in amongst different people, societies, culture and on a larger perspective how we intend to see ourselves. This Painting was inspired by Mafia Wars. 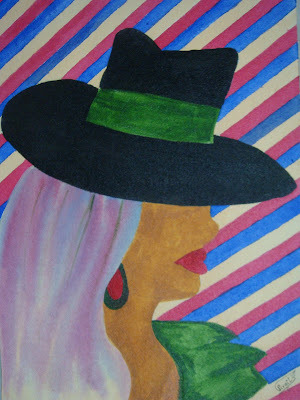 I just wanted to show even though the lady is inspired by BULLETS and HUMMER, she does'nt miss a chance to be a HEAD TURNER. This painting is about how ideal our life is supposed to be. The colors, the vibrancy of blue all are chanting that things around us are so wonderful but DO WE HAVE THE TIME TO STAND AND LISTEN TO THE NATURE CALLING???? This painting is about ourselves, how in our deepest fears, worries and failures we find that light, that very ray of hope that enlightens our minds and souls to overcome any hurdles. In very simple words, "AAALL IS WELL". 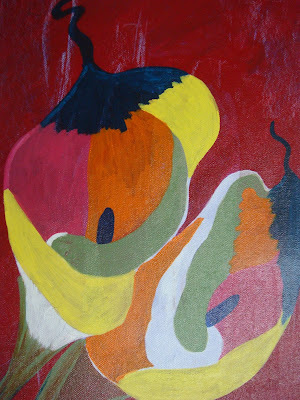 While painting, I intended it to depict the Callalily as our cup of life, and like it as the nectar always keeps filling, so our lives always turns sweeter. Even if there r seldom bees around, still "The Wine Always Flows". 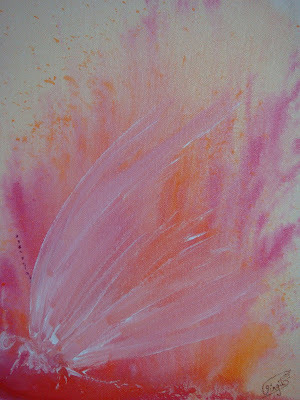 I just happened to unlock a secret doorway in my heart and started to depict it in my paintings. Thanks to my dear friends who appreciated my efforts that I now have to confidence to come out of my shell and extend my joy to all.